Great job Sydnee! 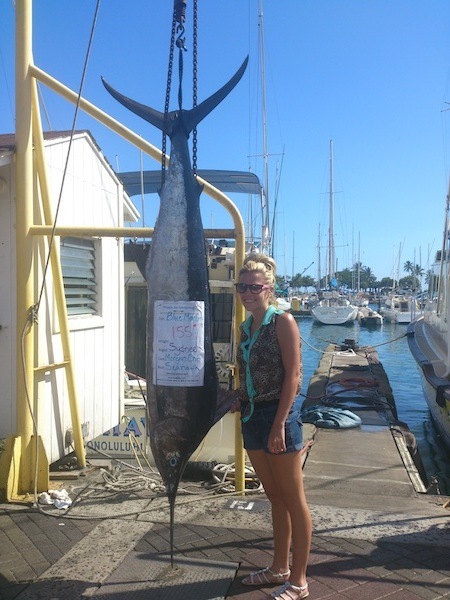 She hauled in this nice 155 lb Blue Marlin on the Sea Hawk with Captain Morgan! Aloha! 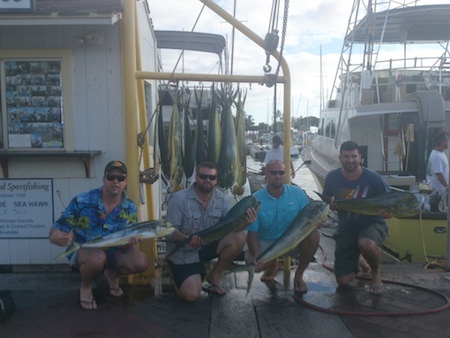 A whole lot of Mahi Mahi caught on the Sea Hawk! 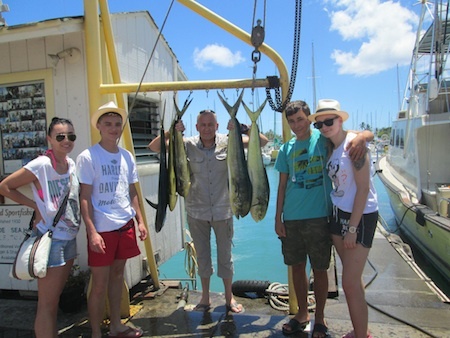 Mahalo to Brent for choosing Maggie Joe Sport Fishing! 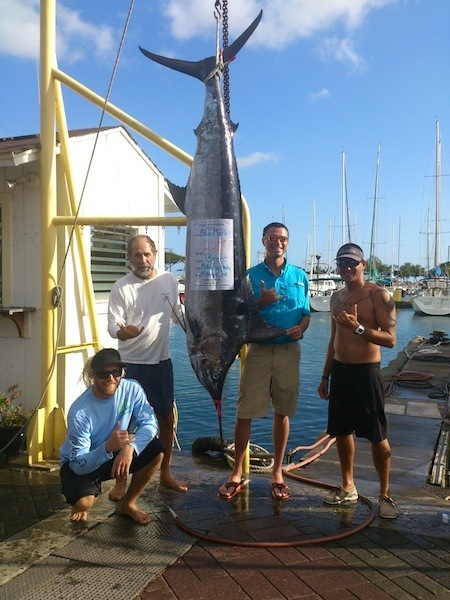 He hauled in this nice 220 lb Blue Marlin while deep sea fishing off Honolulu, Oahu. Aloha! 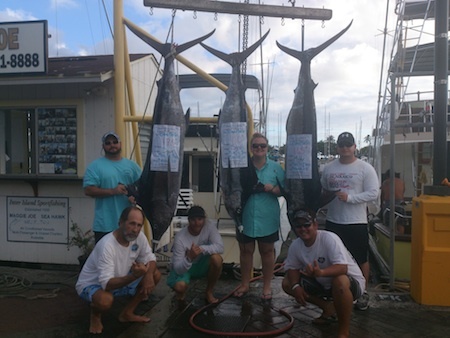 Big Mahalo to Dave, Sarah and Mike for choosing Maggie Joe Sport Fishing! They caught these 3 nice Blue Marlin while deep sea fishing aboard the Maggie Joe with Captain Mike. Aloha!